This second installment in the Harry Potter backstory series relies on our fondness for J.K. Rowling's Wizarding World, but replaces character depth with a fan-geekery plot and lots of whizzy special effects. You leave it not moved, but tired. Rating: 2 stars out of 4. A five-movie series is a lot, if you’re not quite in love with the characters. J.K. Rowling’s “Harry Potter” book series, translated to film, worked beautifully because we were invested in Harry, Ron and Hermione — and in the teachers, friends, adversaries and miscellaneous creatures that surrounded them. 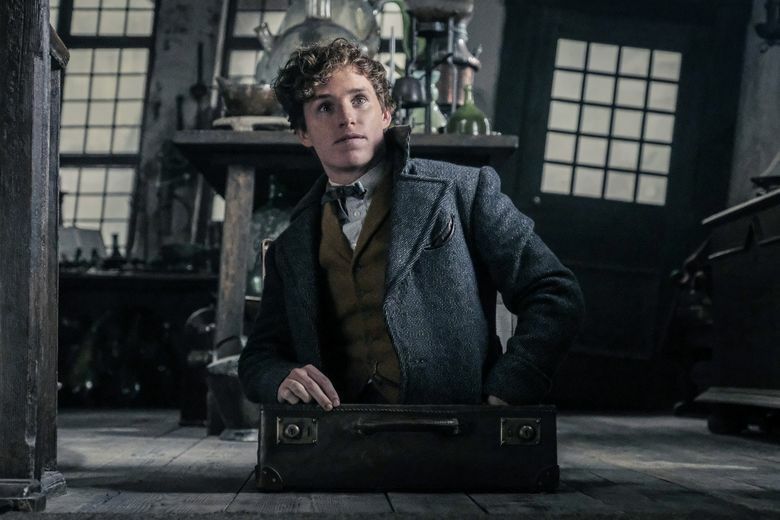 The Potter backstory series “Fantastic Beasts,” for which the new “The Crimes of Grindelwald” is installment number two, relies on our fondness for that world, but replaces character depth with a fan-geekery plot and lots of whizzy special effects. You leave it not moved, but tired. There’s going to be three more of these? Can’t Rowling, who wrote the screenplay, Apparate a better plotline from somewhere? Set mostly in Paris in 1927, “The Crimes of Grindelwald” looks glorious; production designer Stuart Craig and costume designer Colleen Atwood do beautiful, whimsically detailed work. (I was bedazzled by a particular hat, worn by a minor, malevolent female character — a perfect blend of witches’ pointy hat and slouchy up-to-the-minute 1920s high fashion.) A few of the performances register — Law shows us the quiet majesty that Dumbledore will acquire; Zoe Kravitz is touching as the enigmatic Leta Lestrange — while others fizzle, such as Katherine Waterston’s bland Tina Goldstein. And the action too often grinds to a halt while we look at magical beasts, or have some elaborate backstory related. While it’s often great fun to look at, “Crimes of Grindelwald” fails at what should be Rowling’s great strength: storytelling. Three more to go, and an infusion of magic is desperately needed. ★★ “Fantastic Beasts: The Crimes of Grindelwald,” with Johnny Depp, Eddie Redmayne, Jude Law, Katherine Waterston, Dan Fogler, Alison Sudol, Ezra Miller, Zoe Kravitz, Callum Turner, Claudia Kim. Directed by David Yates, from a screenplay by J.K. Rowling. 133 minutes. Rated PG-13 for some sequences of fantasy action. Opens Nov. 16 at multiple theaters.